In density of population Egypt far surpassed of old all known regions of the inhabited world, and even in our own day is thought to be second to none . . .
. . .The total population, they say, was of old about seven million and the number has remained no less down to our day. Herodotus affirmed that 20,000 populous cities existed in Egypt during the reign of Amasis. Diodorus reported that there were 18,000 large villages and towns and stated that, under Ptolemy Lagus, they amounted to more than 30,000 people. Josephus estimated the population. during the reign of Vespasian, at 7.5 million in the valley of the Nile, in addition to the population of Alexandria (which was about 800,000).
. . . a great number of colonies were spread from Egypt over all the inhabited world. To Babylon, for instance, colonists were led by Belus, who was held to be the son of Poseidon and Libya . . . . .
. . . . . They say also that those who set forth with Danaus, likewise from Egypt, settled what is practically the oldest city of Greece, Argos, and that the nation of the Colchi in Pontus and that of the Jews, which lies between Arabia and Syria, were founded as colonies by certain emigrants from their country. . . . . Moreover, certain of the rulers of Athens were originally Egyptians, they say. Petes, [Called Peteus in Iliad 2. 552.] for instance, the father of that Menestheus who took part in the expedition against Troy, having clearly been an Egyptian, later obtained citizenship at Athens and the kingship. In the same way, they continue, Erechtheus also, who was by birth an Egyptian, became king of Athens. . . . Erechtheus, through his racial connection with Egypt, brought from there to Athens a great supply of grain, and in return those who had enjoyed this aid made their benefactor king. After he had secured the throne he instituted the initiatory rites of Demeter in Eleusis and established the mysteries, transferring their ritual from Egypt. . . . . And their sacrifices as well as their ancient ceremonies are observed by the Athenians in the same way as by the Egyptians. . . . .
. . . . . in charge of the more important religious ceremonies of Attica; the pastophoroi were those Egyptian priests who carried in processions small shrines of the gods. They are also the only Greeks who swear by Isis, and they closely resemble the Egyptians in both their appearance and manners. Herodotus, in  above, stated that such a fact was common knowledge at his time [500 BCE], and needed no elaboration. Other connections between the Dorians and Egyptians were referred to several times by Herodotus, such as in The Histories, Book 2, [Section 91]. 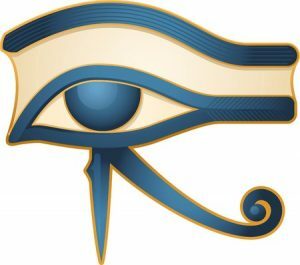 Lastly, it should be noted that Ancient Egyptian records (as well as records in other areas) have countless names of places in the world that are not recognizable in our present time. Names of places, ethnic groups, and countries keep on changing. The names of European countries just 100 years ago, for example, are unrecognizable to most present-day Europeans. Eventually, when these records disappear a few centuries from now, the names of such countries will be totally unrecognizable. Of “oriental” origin and characteristics. Un-warlike people who settled peacefully among the local population. Highly advanced in metallurgy, and manufactured large quantities of metal products. Highly organized and very talented in management. Highly advanced in dry weather farming, irrigation, etc. Experienced builders and artisans who have built megalithic tombs, etc. Very religious people who had Animistic beliefs. The above descriptions can only apply to one country— Egypt. By combining oral traditions, ethno-history, and archeological evidence (dating major settlements, tombs, mining activities, etc.) 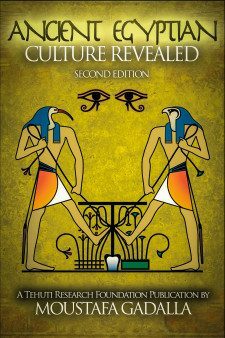 of all the people in the Mediterranean Basin, one can see that the civilized newcomers could have come only from the Nile Valley. Immigration from Egypt occurred in several waves. It was closely related to events in Ancient Egypt. Some left in prosperous times to pursue business contacts. The majority left in stressful times. For more information about the Egyptian immigration waves to sub-Sahara and interior Africa, read Exiled Egyptians: The Heart of Africa, by Moustafa Gadalla. 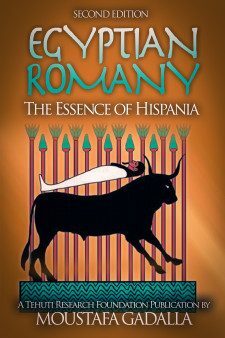 For more information about the Egyptian immigration waves to the Iberian Peninsula, read Egyptian Romany: the Essence of Hispania, by Moustafa Gadalla.